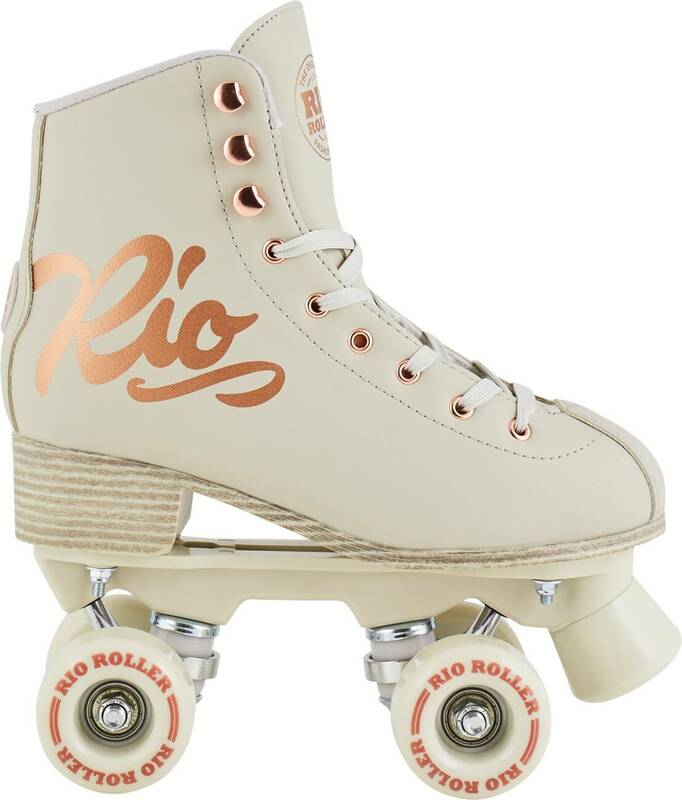 Looking for some classic retro styling for your Saturday nights at the roller disco? 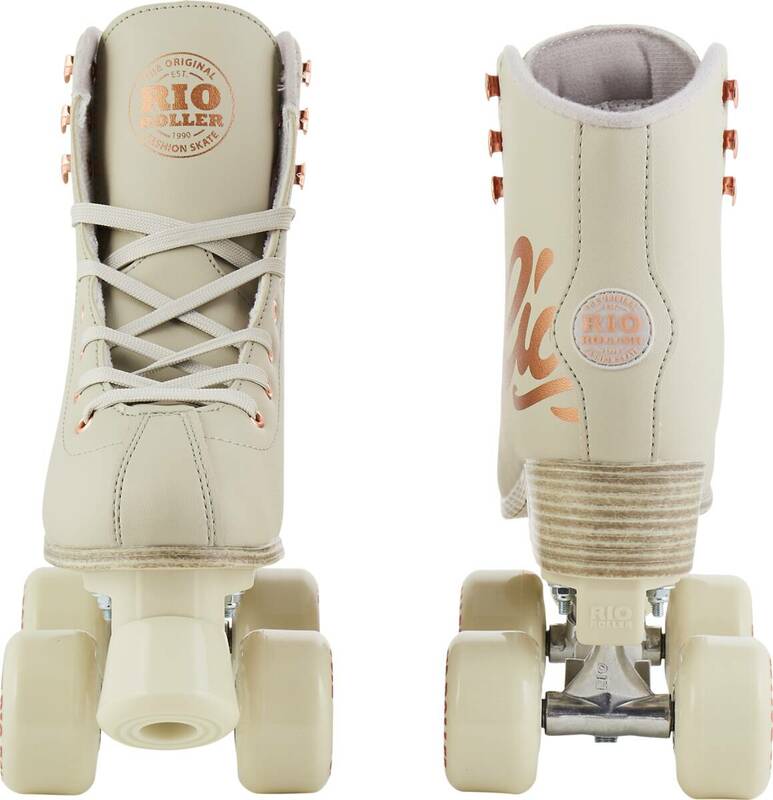 Let a pair of Rio Roller Rose skates surprise you with their easily skated features and supremely cool looks with Rose Gold features on classic colors. 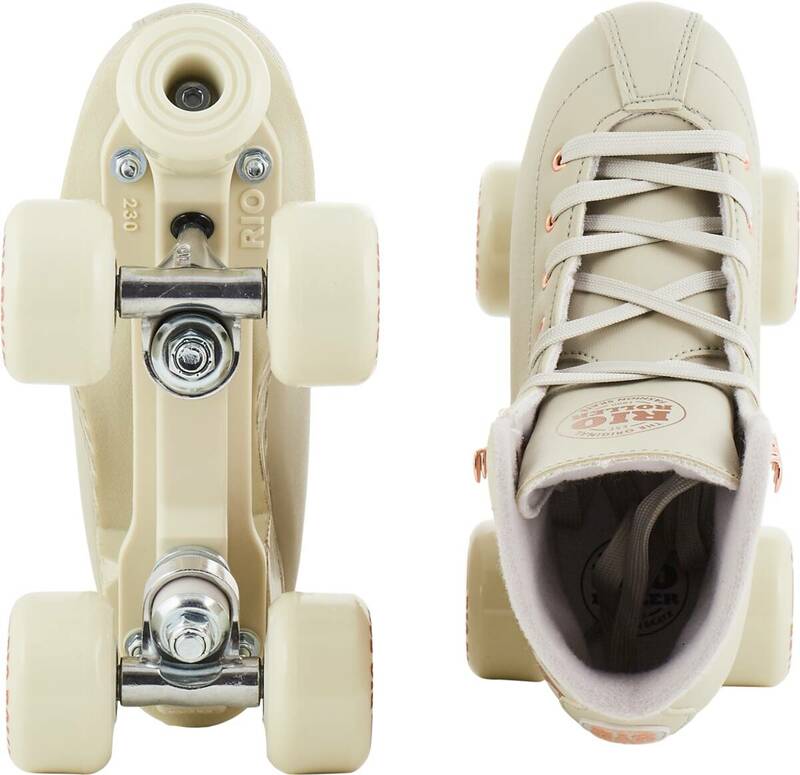 To make sure that the use of plastics is reduced, the skates are packed in a cotton duster bag, that will double as a skate-carry-bag for when not skating.